Deluxe quality, natural and unique summer blend. This elegant cottolin has a softness of cotton with excellent durability at the same time, soft silky sheen, and slightly rustic texture due to the content of linen and nettle fibers. 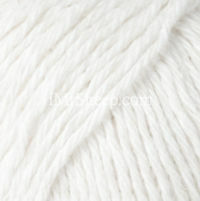 This is the perfect yarn for spring-summer knits: pullovers, dresses, cardigans, skirts, and accessories. 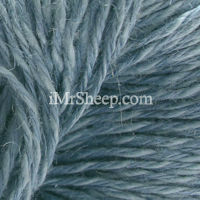 All types of stitch patterns are suitable: plain, cables, laces, etc. Note that this blend is 68% naturally organic. The nettle fiber in its content is originated from Nepal. Garment Care: Hand wash in warm water, dry flat. TOP © JUNGHANS-WOLLVERSAND, SABRINA (GR) № 6-2018, Yarn: Junghans-Wollvensand Dacapo.